Maui Divers gorgeous jewelry is not only inspired by the beauty of the Hawaiian Islands, it’s also designed and created there. 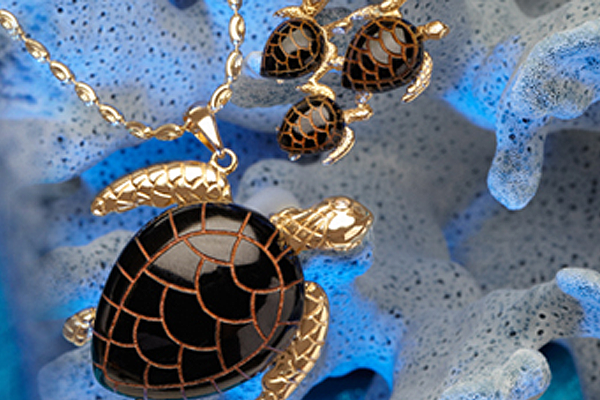 Their unique pieces are more like individual works of art than jewelry, and there’s no greater testament to this than their long-standing collaboration with renowned artist Wyland and his signature line of pieces sold only at Maui Divers Jewelry. Timeless and elegant, all of Maui Diver’s Jewelry is created to the most exacting standards, and quality of materials and gems. Maui Divers Jewelry was born in the Islands almost 60 years ago, originally as an undersea touring company leading expeditions in into the deep waters off the Moloka’i Channel. With the discovery of Black Coral, Maui Divers Jewelry was founded and the company began designing, manufacturing and selling uniquely Hawaiian Black Coral Jewelry. 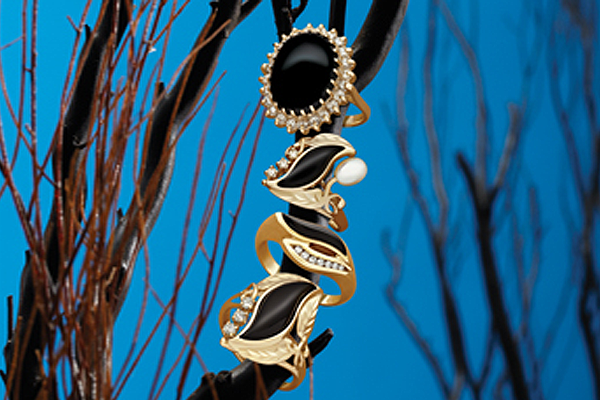 From there they expanded into creating other pieces using Tahitian black pearls, freshwater pearls, gorgeous pink and red coral, and even opals, diamonds and other precious gemstones. Maui Divers Jewelry is dedicated to preserving the undersea resources it sources it’s coral from, always ensuring both the reef and the coral itself are not damaged or harmed in any way by harvesting. Their long relationship with the sea and the creatures beneath it, has been one of mutual benefit and appreciation for all life, and Maui Divers Jewelry is committed to supporting the marine environment both today and for future generations to come.